Leukemia is the most common children cancer. It represents 25 to 30% of all new diagnosed cancer cases in children younger than 15 years in the world. 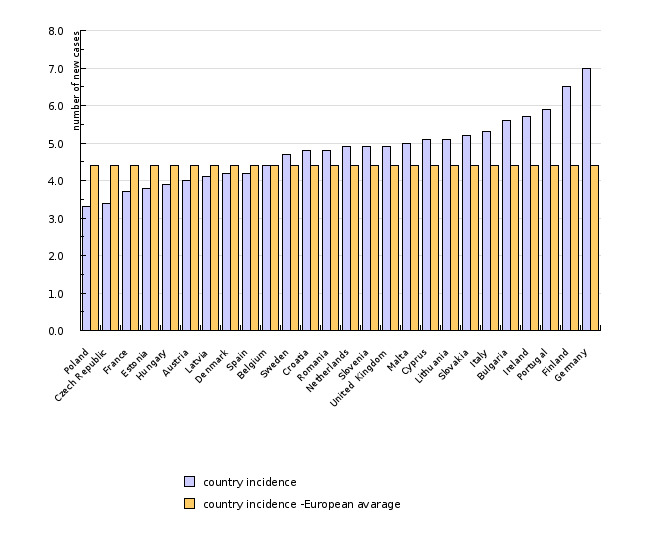 Causal mechanisms for the occurrence of leukemia in children are poorly known, but it is often referred connection with environmental risk factors.Data from European cancer registries indicate that the incidence rate of childhood leukemia between 1970 and 1999 grew on average by 0.7% per annum in the last twenty years has been 1% per year, mostly in countries with higher economic status (SES). 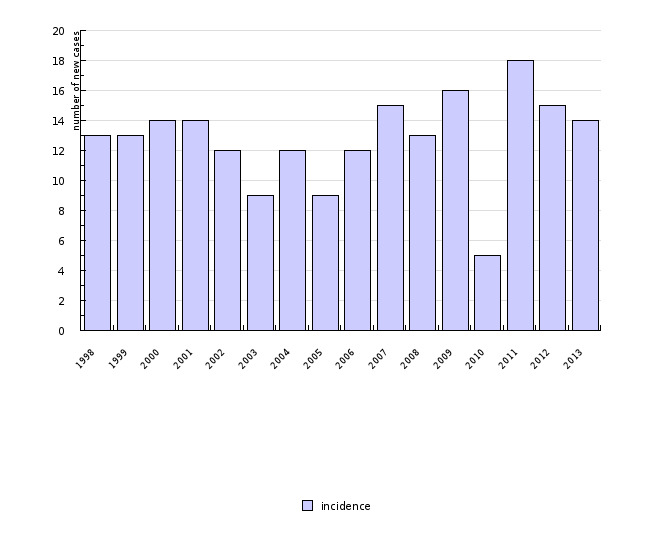 In Slovenia, due to the small number of cases can not be described significant trend over the period 1998-2013 but incidencevaries between 5 and 18 new cases per year.